fyrefly98: They take place on different continents, but both are stories of Victorian explorers, with interwoven tales of the modern biographers/journlists who retrace their paths. sboyte: Explorers in the Amazon. baobab: Imperialist explorers in a different environment, these men loot the archeological riches of Central Asia and China while pursuing nefarious plots for their home governments. A fast and well researched adventure. David Gann knows how to increase suspense by interweaving the stories of Fawcett's life, later seekers and his own journey for the truth to maximize the drama and mystery of it all. He pulls from a lot of different sources to provide the general picture of the Amazon that most of us have: a dangerous and deceptive paradise incapable of supporting an advanced civilization, until turning the tables and sharing the most modern discoveries. The recent findings in the Amazon are what really drew me into this book and Grann gives an insider's perspective of reexamining the previously dismissed Spanish and Portuguese accounts and other evidence. Grann does an excellent job of reconstructing narrative from old letters and journals and doesn't overstep his bounds with too much imagination, as can often happen with popular history. He is always clear with his sources and how he presents events from the perspectives not his own. On a cold January day in 1925, a tall, distiguished gentleman hurried across the docks in Hoboken, New Jersey, toward the SS Vauban, a five-hundred-and-eleven-foot ocean liner bound for Rio de Janeiro. For a moment, I could see this vanished world as if it were right in front of me. Z. We shall return -- The vanishing -- The search begins -- Buried treasure -- Blank spots on the map -- The disciple -- Freeze-dried ice cream and adrenaline socks -- Into the Amazon -- The secret papers -- The green hell -- Dead Horse Camp -- In the hands of the gods -- Ransom -- The case for Z -- El Dorado -- The locked box -- The whole world is mad -- A scientific obsession -- An unexpected clue -- Have no fear -- The last eyewitness -- Dead or alive -- The colonel's bones -- The other world -- Z. The world was watching. 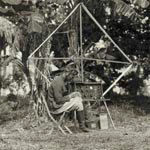 Fawcett, the last of the great Victorian adventurers, was financed by the Royal Geographical Society in London, the world’s foremost repository of research gathered by explorers. Fawcett, then age 57, had proclaimed for decades his belief in the City of Z, as he had nicknamed it. His writings, speeches, and exploits had captured the imagination of millions, and reports of his last expedition were front page news. His expeditionary force consisted of three men--himself, his 21-year-old son Jack, and one of Jack’s friends. 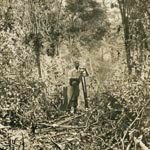 Fawcett believed that only a small group had any chance of surviving the horrors of the Amazon. He had seen large forces decimated by malaria, insects, snakes, poison darts, starvation, and insanity. He knew better. He and his two companions would travel light, carry their own supplies, eat off the land, pose no threat to the natives, and endure months of hardship in their search for the Lost City of Z. They were never seen again. Fawcett’s daily dispatches trickled to a stop. Months passed with no word. Because he had survived several similar forays into the Amazon, his family and friends considered him to be near super-human. As before, they expected Fawcett to stumble out of the jungle, bearded and emaciated and announcing some fantastic discovery. It did not happen. Over the years, the search for Fawcett became more alluring than the search for El Dorado itself. Rescue efforts, from the serious to the farcical, materialized in the years that followed, and hundreds of others lost their lives in the search. Rewards were posted. Psychics were brought in by the family. Articles and books were written. 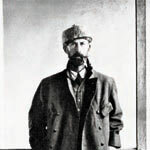 For decades the legend of Percy Fawcett refused to die. The great mystery of what happened to Fawcett has never been solved, perhaps until now. 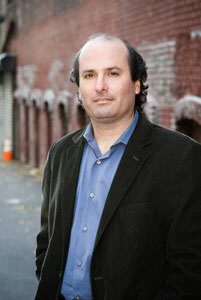 In 2004, author David Grann discovered the story while researching another one. Soon, like hundreds before him, he became obsessed with the legend of the colorful adventurer and his baffling disappearance. Grann, a lifelong New Yorker with an admitted aversion to camping and mountain climbing, a lousy sense of direction, and an affinity for take-out food and air conditioning, soon found himself in the jungles of the Amazon. What he found there, some 80 years after Fawcett’s disappearance, is a startling conclusion to this absorbing narrative. The Lost City of Z is a riveting, exciting and thoroughly compelling tale of adventure. Question: When did you first stumble upon the story of Percy Fawcett and his search for an ancient civilization in the Amazon—and when did you realize this particular story had you in “the grip”? David Grann: While I was researching a story on the mysterious death of the world’s greatest Sherlock Holmes expert, I came upon a reference to Fawcett’s role in inspiring Arthur Conan Doyle’s novel The Lost World. Curious, I plugged Fawcett’s name into a newspaper database and was amazed by the headlines that appeared, including “THREE MEN FACE CANNIBALS IN RELIC QUEST” and tribesmen “Seize Movie Actor Seeking to Rescue Fawcett.” As I read each story, I became more and more curious--about how Fawcett’s quest for a lost city and his disappearance had captivated the world; how for decades hundreds of scientists and explorers had tried to find evidence of Fawcett’s missing party and the City of Z; and how countless seekers had disappeared or died from starvation, diseases, attacks by wild animals, or poisonous arrows. What intrigued me most, though, was the notion of Z. For years most scientists had considered the brutal conditions in the largest jungle in the world inimical to humankind, but more recently some archeologists had begun to question this longstanding view and believed that a sophisticated civilization like Z might have existed. Such a discovery would challenge virtually everything that was believed about the nature of the Amazon and what the Americas looked liked before the arrival of Christopher Columbus. Suddenly, the story had every tantalizing element--mystery, obsession, death, madness--as well as great intellectual stakes. Still, I probably didn’t realize I was fully in the story’s “grip” until I told my wife that I planned to take out an extra life insurance policy and follow Fawcett’s trail into the Amazon. Q: Tell us about the discovery of Fawcett’s previously unpublished diaries and logbooks. DG: Researching the book often felt like a kind of treasure hunt and nothing was more exciting than coming across these materials in an old chest in the house of one of Fawcett’s grandchildren. Fawcett, who had been a British spy, was extremely secretive about his search for Z--in part because he didn’t want his rivals to discover the lost city before he did and in part because he feared that too many people would die if they tried to follow in his wake. These old, crumbling diaries and logbooks held incredible clues to both Fawcett’s life and death; what’s more, they revealed a key to his clandestine route to the Lost City of Z.
Q: In an attempt to retrace Fawcett’s journey, many scientists and explorers have faced madness, kidnapping, and death. Did you ever hesitate to go to the Amazon? DG: I probably should have been more hesitant, especially after reading some of the diaries of members of other parties that had scoured the Amazon for a lost city. One seeker of El Dorado described reaching a state of “privation so great that we were eating nothing but leather, belts and soles of shoes, cooked with certain herbs, with the result that so great was our weakness that we could not remain standing.” In that expedition alone, some four thousand men perished. Other explorers resorted to cannibalism. One searcher went so mad he stabbed his own child, whispering, “Commend thyself to God, my daughter, for I am about to kill thee.” But to be honest, even after reading these accounts, I was so consumed by the story that I did not think much about the consequences--and one of the themes I try to explore in the book is the lethal nature of obsession. Q: When you were separated from your guide Paolo on the way to the Kuikuro village and seemingly lost and alone in the jungle, what was going through your mind? DG: Besides fear, I kept wondering what the hell I was doing on such a mad quest. Q: Paolo and you made a game of imagining what happened to Fawcett in the Amazon. Without giving anything away about The Lost City of Z, I was wondering if you came away with any final conclusions? 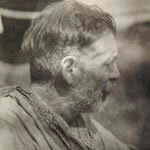 DG: I don’t want to give too much away; but, after poring over Fawcett’s final letters and dispatches from the expedition and after interviewing many of the tribes that Fawcett himself had encountered, I felt as if I had come as close as possible to knowing why Fawcett and his party vanished. Q: In his praise for your book, Malcolm Gladwell asks a “central question of our age”: “In the battle between man and a hostile environment, who wins?” Obviously, the jungle has won many times, but it seems man may be gaining. What are your thoughts on the deforestation taking place in the Amazon? DG: It is a great tragedy. Over the last four decades in Brazil alone, the Amazon has lost some two hundred and seventy thousand square miles of its original forest cover--an area bigger than France. Many tribes, including some I visited, are being threatened with extinction. Countless animals and plants, many of them with potential medicinal purposes, are also vanishing. One of the things that the book explores is how early Native American societies were often able to overcome their hostile environment without destroying it. Unfortunately, that has not been the case with the latest wave of trespassers. Q: You began this journey as a man who doesn’t like to camp and has “a terrible sense of direction and tend[s] to forget where [you are] on the subway and miss[es] [your] stop in Brooklyn.” Are you now an avid outdoorsman? DG: No. Once was enough for me! Q: Early in the book, you write, “Ever since I was young, I’ve been drawn to mystery and adventure tales.” What have been some of your favorite books--past and present--that fall into this category? 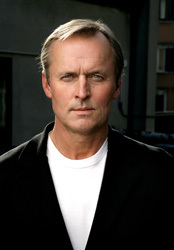 DG: I’m a huge Sherlock Holmes fan, and every few years go back and read the stories again. I do the same with many of Joseph Conrad’s novels, including Lord Jim. I’m always amazed at how he produced quest novels that reflected the Victorian era and yet seem to have been written with the wisdom of a historian looking back in time. As for more contemporary authors, I read a lot of crime fiction, especially the works of George Pelecanos and Michael Connelly. I also relish books, such as Jonathan Lethem’s Motherless Brooklyn, that cleverly play with this genre. Finally, there are the gripping yarns written by authors like Jon Krakauer and Nathaniel Philbrick-—stories that are all the more spellbinding because they are true. Q: Brad Pitt and Paramount optioned The Lost City of Z in the spring. Any updates? DG: They have hired a screenwriter and director and seem to be moving forward at a good clip. DG: I recently finished a couple of crime stories for The New Yorker, including one about a Polish author who allegedly committed murder and then left clues about the real crime in his novel. Meanwhile, I’m hoping to find a tantalizing story, like The Lost City of Z, that will lead to a new book. DG: Just that I hope that readers will enjoy The Lost City of Z and find the story of Fawcett and his quest as captivating as I did. Details English explorer Percy Fawcett's exploration for a lost city in the jungles of South America and relates efforts made by the author and other individuals to find out what happened to him.